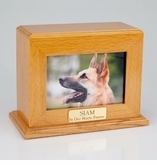 The Inset Photo Pet Oak Wood Cremation Urn - Horizontal Large is designed to display your favorite pet's 6" x 4" photograph. 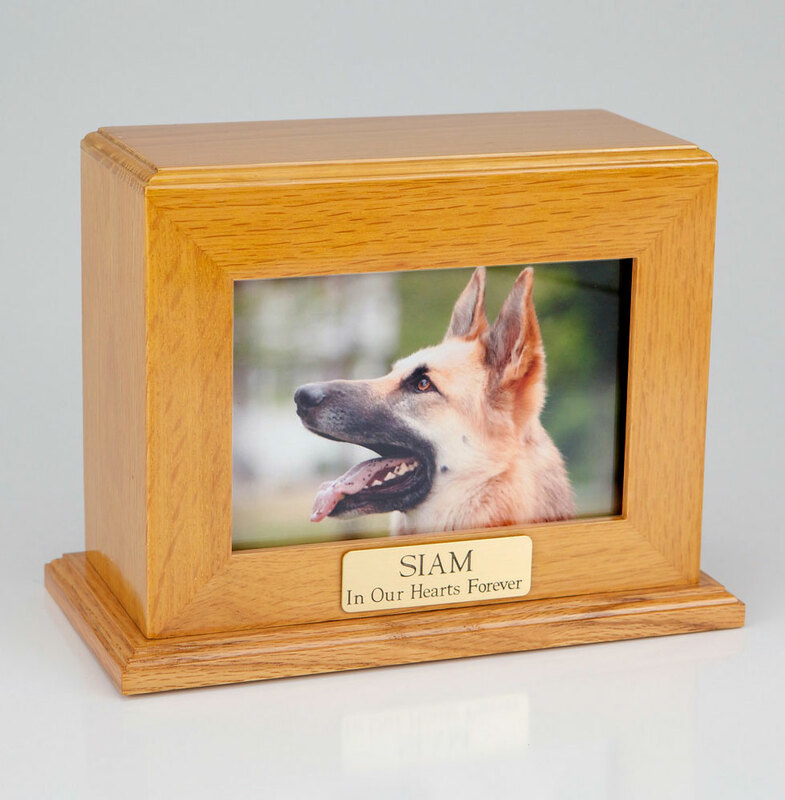 Beautifully crafted from Red Oak hardwoods creating a truly lasting memorial to your beloved friend. 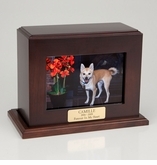 Comes with an acrylic window which slides out of the bottom of the urn when opened for easy installation of your favorite photo. 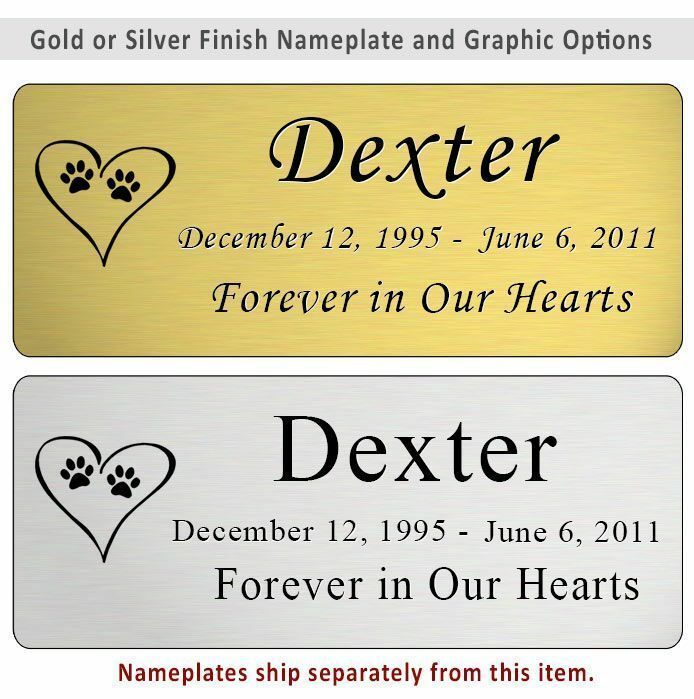 An optional gold or silver finish nameplate with optional graphic can be added below the photo (up to 4 lines of text, 30 characters per line, including spaces). 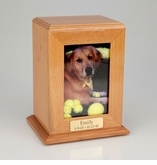 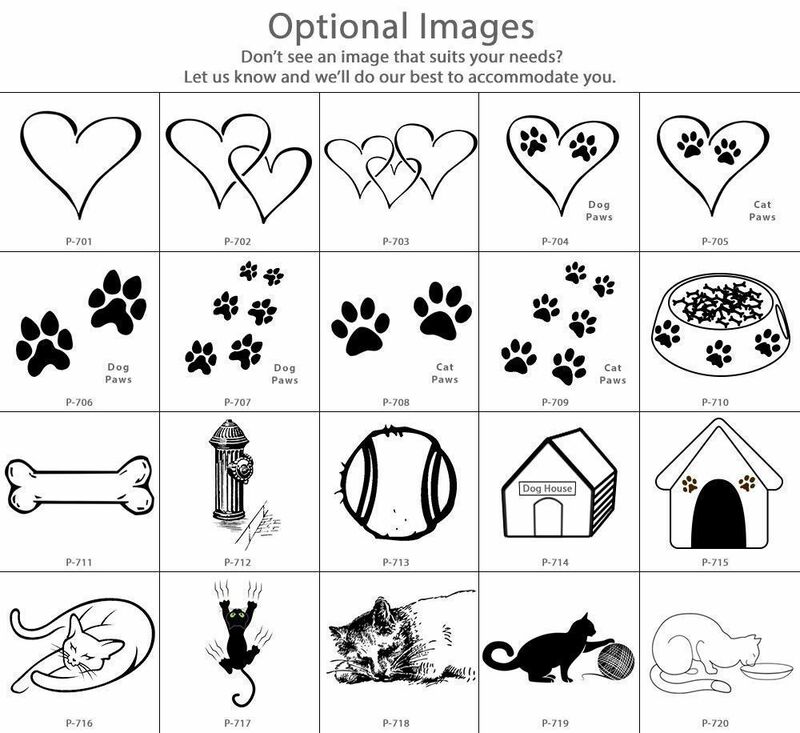 Photo holder dimension: 6" x 4"
Optional nameplate dimensions: 2.75" x .87"
I ordered to have an urn sent overnight from Mainely Urns and spoke to someone on the phone, who was really helpful, understanding and compassionate with the loss of my golden retriever, Pumpkin. 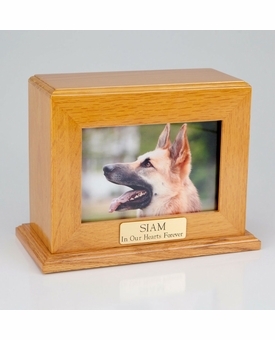 The quality is exceptional and the urn with the photo frame with Glass is beautiful. 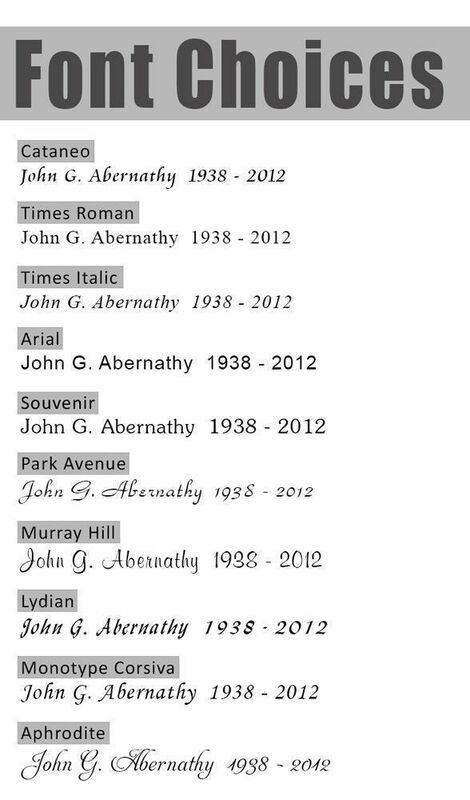 Thank you for taking great care of my order and assure it arrived on time for the ceremony. 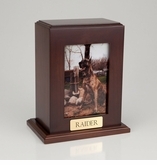 Quality product, well made, and shipped with great packaging.